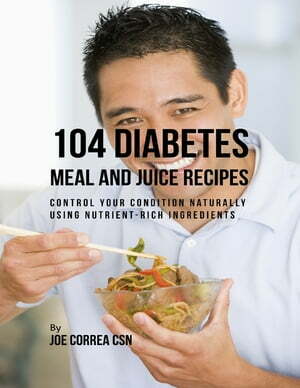 Collins Booksellers - 104 Diabetes Meal and Juice Recipes: Control Your Condition Naturally Using Nutrient Rich Ingredients by Joe Correa CSN, 9781387168729. Buy this book online. Physicians diagnose diabetes when a patient is suffering from an unexplained history of illness or abdominal pain that lasts for a couple of weeks. If you're diagnosed with diabetes, you will be referred to a specialist for this disease. The specific treatment of diabetes means that the majority of medical care is run by hospitals, rather than the family doctors. However, at the end of a day, you're left with your disease and it is up to you to maintain a healthy diet after that. The main symptoms are the same for both – kids and adults. Usually, these symptoms occur within a few weeks and include thirst, weight loss, fatigue, frequent urination, etc. Symptoms that are more specific to children are bellyaches, headaches, or behavior problems.